Born: May 29, 1874 in Charlestown Ma. 1. 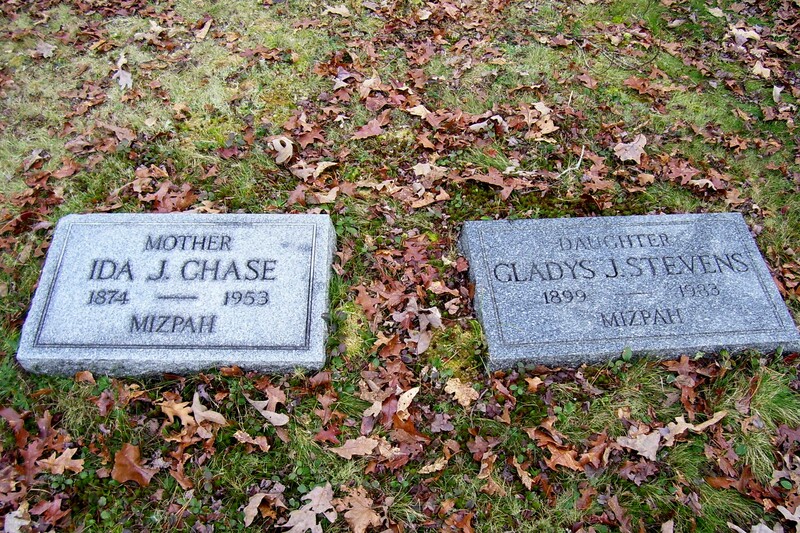 Gladys Jordan Synnette Washburn Stevens; (1899 – 1983); Gladys is buried next to her mother in Pocasset Cemetery. Married (2): November 11, 1907 in Yarmouth Ma. To: Ezra Forestor Chase; (Abt.1871 – 1918) (Franklin H. Chase & Julia Coville); Ezra married (1) Fannie Wheldon (Abt.1872 – ?) (David Wheldon & Juliann (–)) in Harwich Ma. on November 3, 1889.